Prior to joining MHBC, Celeste worked within the private sector managing a variety of development applications across the Greater Golden Horseshoe. Celeste has experience in obtaining development approvals for Subdivisions, Condominiums, Site Plan, Official Plan and Zoning By-law Amendments and Minor Variance applications. 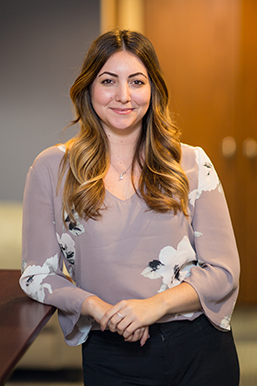 Since joining MHBC in September of 2017, Celeste has continued her role with project co-ordination, management, and policy review and analysis for a variety of private sector clients. Furthermore, Celeste has a comprehensive understanding of condominium conversions across a range of municipalities for residential, commercial and industrial properties. Celeste received a Bachelor of Urban and Regional Planning in 2014 from Ryerson University, and is a candidate member with the Ontario Professional Planners Institute (OPPI).